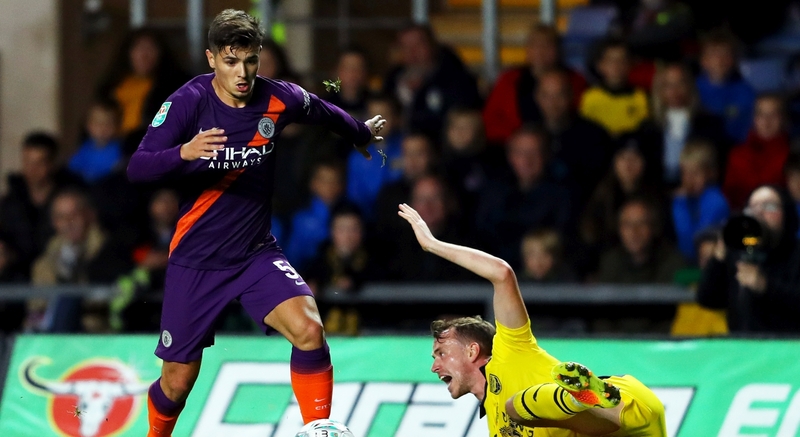 Real Madrid will complete the signing of teenage prodigy Brahim Diaz from Manchester City in the January transfer window, a move months in the making which the Marca newspaper now says is all agreed and down to details relating to add-ons. Their story is being backed up by various sources in Spain today, and speaking to Cadena SER, journalist Anton Meana shared some more information on this transfer. He too estimates the operation to be worth around €15 million, with further bonuses likely to follow, a considerable fee for City considering 19-year-old Diaz is out of contract in June and could walk for nothing. It’s thought that paranoia of Barcelona or Paris Saint-Germain making a play for Brahim has led to them securing him this winter. Diaz will wear the number 21 shirt at the Santiago Bernabéu, the same worn by David Silva at the Etihad Stadium. Brahim will earn approximately €3.5 million per year, which works out at roughly €67,300 (£60,800) per week. Another Spanish journalist, Alvaro de Grado, told SER that Diaz rejected several contract offers from Manchester City, after having a minor role in Pep Guardiola’s squad. So far this season, he has not played a single minute in either the Premier League or Champions League, and has been restricted to Carabao Cup appearances. Real Madrid expect to formalise Diaz’s transfer and present him to fans next week.